“Kit recruiting volunteers at the non-profit expo at usfca. 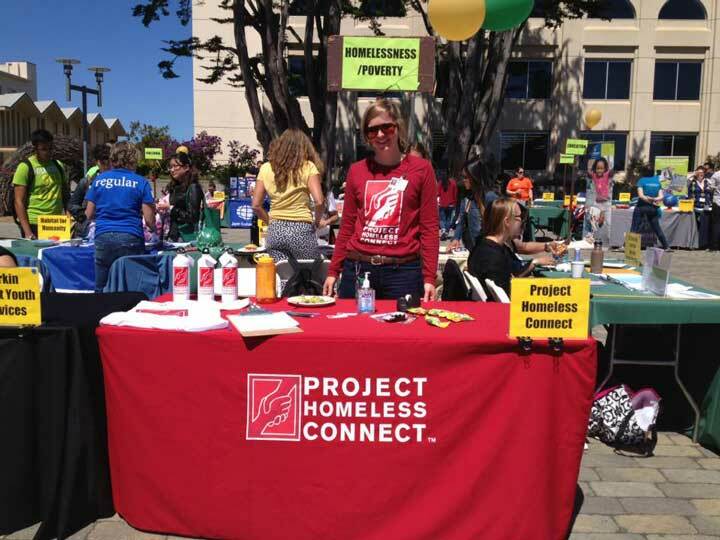 PHC loves working with college students!” Photo Courtesy of: Project Homeless Connect. In the U.S., San Francisco ranks as one of the top 10 cities with the largest population of individuals suffering from homelessness, with an estimated 7,000 or more people living on the streets or in shelters on any given night. With such a vast and dishearteningly growing population of homeless individuals within the city, organizations such as Project Homeless Connect (PHC) are crucial in making resources available for those individuals that are finding it difficult to even survive while waiting for housing for weeks, months and sometimes even years. Kara Zordel, Chief Executive Officer of Project Homeless Connect. Photo Courtesy of:Project Homeless Connect. “People on the streets need support today. 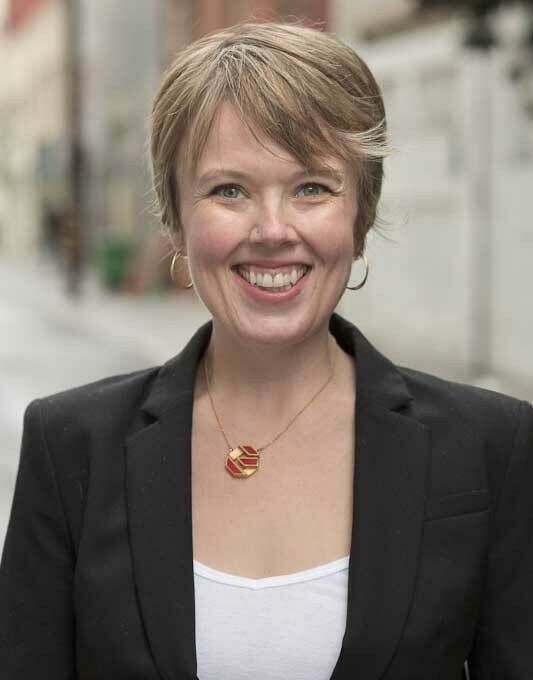 They cannot wait until they suddenly have housing in San Francisco – that might not happen very quickly,” says Kara Zordel, Chief Executive Officer of Project Homeless Connect. One of PHC’s key objectives is to connect homeless individuals with resources that they might not be able to access elsewhere, or that might take a long time to acquire, such as an ID from the DMV, prescription eyeglasses, or even dentures. The organization currently delivers 1,000 services per month, and reaches more than 6,500 individuals per year through its “one-stop shop” events and from its office, headquartered in San Francisco on Van Ness Avenue. But the organization also extends its reach by mobilizing its services through care vans and with the help of an expansive network of volunteers. “San Francisco is unique because people really do care, and when we ask for community support…San Francisco always steps up and really helps through donations or at volunteer events,” says Zordel. Over 25,000 volunteers have dedicated their time to PHC over the years, says Zordel, and their contributions have been essential in reaching more individuals and in mobilizing care. “Mobilizing volunteers and our resources not only educates the volunteers on what being homeless truly is and reduces stigma, but also makes volunteers advocates that vote and push the needle on the issue in the community,” says Zordel. Educating the public on homelessness is another important component of the organization’s mission. “Each story is so individual and the second piece of educating communities about the issue is almost as important as the work that we do with our participants,” says Zordel, explaining that the stigmas surrounding homelessness can only be overcome through education and active participation from the community. During her time with Project Homeless Connect since 2011, Zordel’s experience in working with underserved populations through UNICEF, a large shelter in South Bronx, and a homeless eviction prevention program, has transformed the organization’s impact in San Francisco, and has helped shape numerous new programs that cater to a broader population of individuals in need, including the LGBT community. Zordel says that the organization’s next challenge will be acquiring more space to increase its reach in the community. 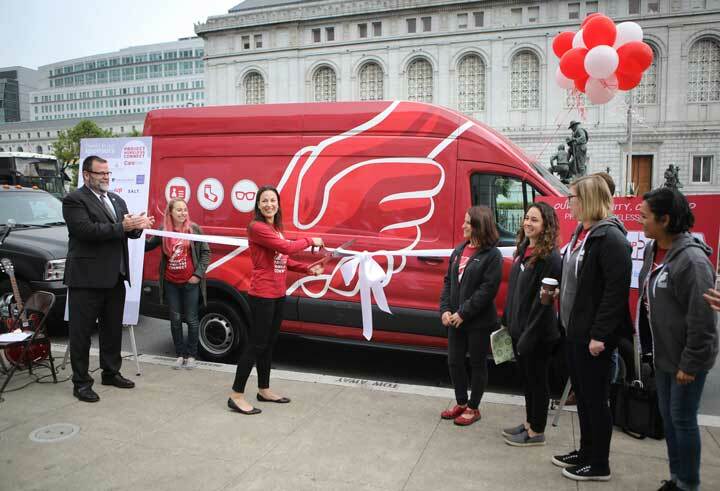 “Project Homeless Connect unveils their new mobile services van, the CareVan, on May 23, 2017.” Photo by Brant Ward, Courtesy of: Project Homeless Connect. Within the context of San Francisco, however, Zordel says the organization thrives in its mission through the continued support of volunteers and a community that is eager to help put an end to the issue of homelessness.